So, university is out for the year and I now have three clear months ahead of me to fill with cooking, yoga, running, swimming and adventuring! Somewhere in there too I will have to find a REAL job to sustain my summer of fun! Anyway to start with I am looking forward to lots of relaxation after a busy few weeks of study and exams. So today you would find me spread out on the couch in the sunny front room of my parents house with a cup of tea and a big appetite to share one of my favourite recipes with you. Veggie patties are a bit of a staple for me. They are super quick, easy, cheap and can be served in a multitude of ways. I love to wrap them up in a pita with lots of fresh salad in summer or roll them into balls and serve with a rich tomato sauce and pasta in winter. They are just so versatile and always a hit, even with my meat eating friends. 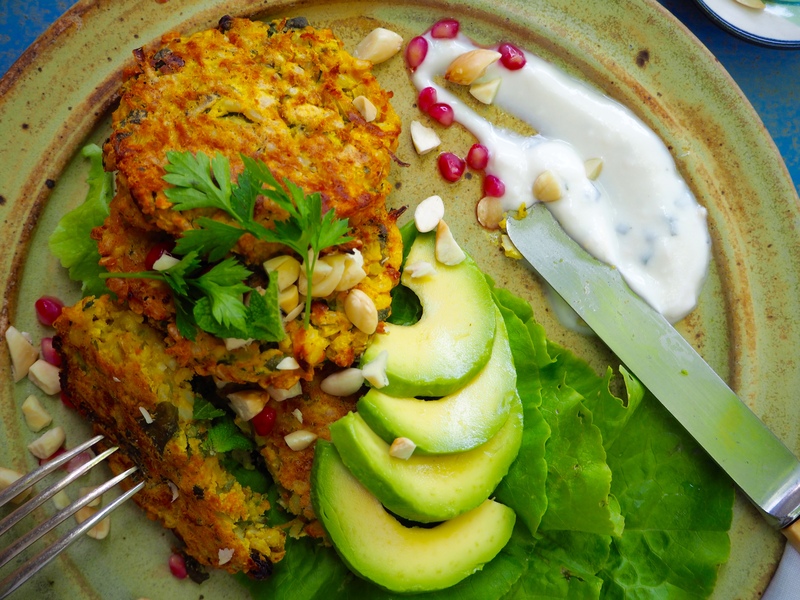 By combining rice and lentils your body receives all 20 essential amino acids, which makes these patties a complete protein source (yes I did lean something this year!). It is very important for vegetarians/vegans to combine different protein sources to ensure they are consuming complete proteins and these patties make is super easy! 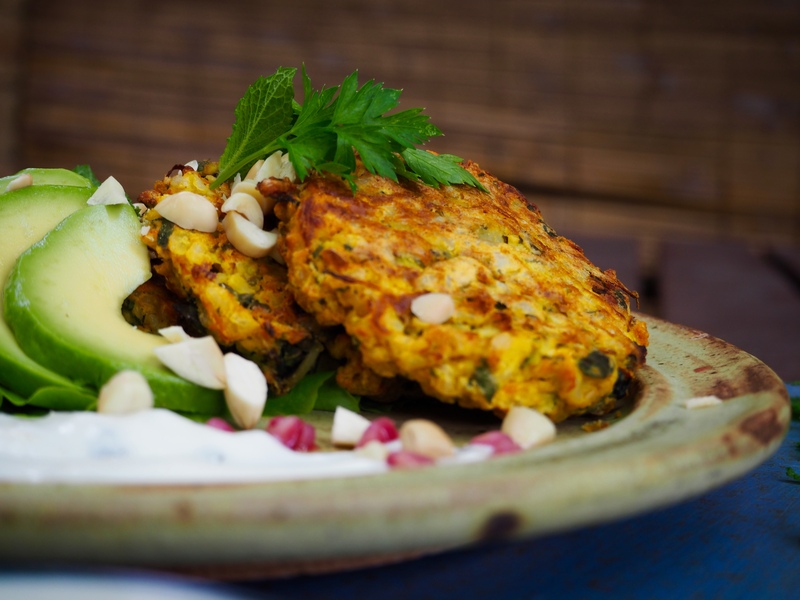 With lots of veggies and spices too it makes them an all round winner! If soaking the lentils and rice, place in separate large bowls and cover completely with filtered water, add a squeeze of lemon and leave. Drain the lentils and place in a saucepan with 2 C filtered water and a pinch of salt. Bring to the boil, turn down the heat and cook for 20 – 25 minutes or until reduced into a thick paste. Set aside. Drain the rice and place in a saucepan with 1.5 C filtered water and a pinch of salt. Bring to the boil, turn the heat to very low, cover with a lid and cook for 35 minutes. Do not lift the lid during the cooking process. After 35 minutes the water should be evaporated and the rice fluffy. Set aside. Pre-heat the oven to 200 degrees fan forced. Line a baking tray with baking paper. Place the rest of the ingredients into a large bowl and mix to combine. Add the cooked lentils and rice and mix again. The mixture should be sticky and hold together when pressed. If too wet add another 1/4 C rolled oats. Season with salt and pepper to taste. Roll the mixture into 2 balls and flatten out on the tray. Brush with oil before placing in the preheated oven to cook for 20 minutes before flipping and finish off for another 15 minutes. 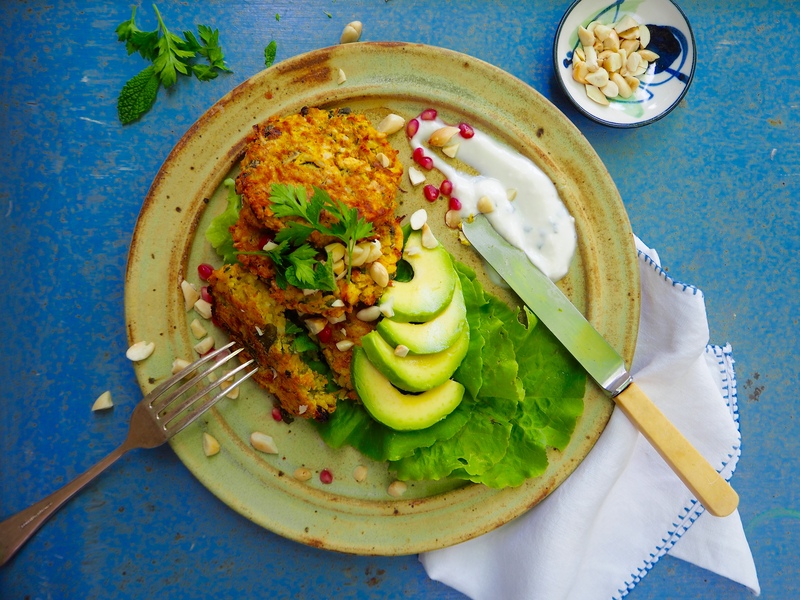 Serve with salad, coconut yoghurt, toasted almonds, avocado and pomegranate or wrapped up in a pitta with fresh salad.